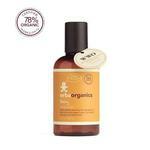 Erbaorganics super mild and gentle body wash is perfect for baby's delicate skin. Natural cleansing agents gently wash away the dirt of the day without over drying or causing irritation. Organic lavender and organic chamomile leave skin soft, smooth, and refreshed. Nourishing for baby's delicate skin, Erbaorganics body wash is specially formulated with your little ones tender needs in mind. A rich organic aloe base forms the foundation for this super mild wash. Paraben and SLS free, organic oat extract and organic olive oil combine to create a green and eco-friendly surfactant which gently and effectively cleanses baby's delicate skin. Organic lavender helps soothe irritated skin while organic chamomile calms and relaxes. A super-safe food grade preservative maintains ultimate freshness. Directions:To gently wash baby, lather a dime size amount of our naturally non-irritating formula in palm of hands and gently massage baby's body. As with all detergents take care to avoid the delicate eye area. Rinse with lukewarm water. 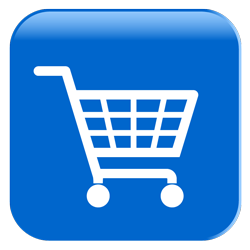 Erbaorganics donates a full 15% of our gross sales from Baby Body Oil and Baby Body Wash to the World Orphan Foundation. The WWO works with local communities in underdeveloped areas around the world to enrich the lives of orphans through diverse programs focusing on health, society and education. Founded in 1997 by pediatrician and pioneer Dr. Jane Aronson, the WWO receives widespread support from around the world, including such celebrities as Angelina Jolie, Mary-Louise Parker, and Naomi Watts.